Updated April 11, 2019 By // by Kris. This post contains affiliate links. This means we may make a small commission, at no extra cost to you. We have just spent an incredibly rich and diverse week in Ubud. When we were researching this place, there was a big hole in the information out there about the things to do in Ubud. 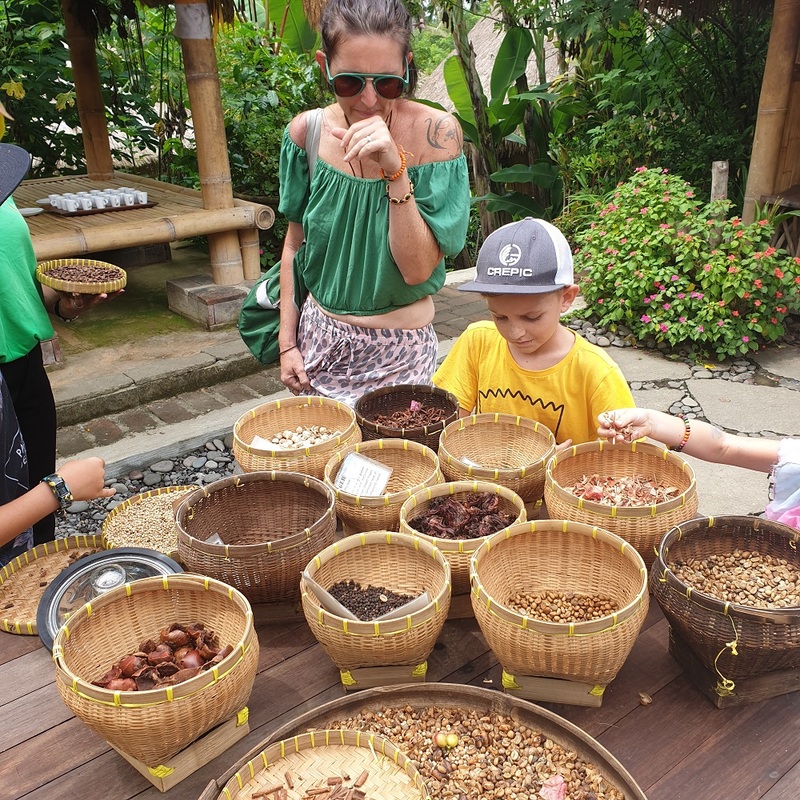 You can find things to do all over Bali, and while it is true that most things can be found within a couple of hours drive, we were really looking for close activities. 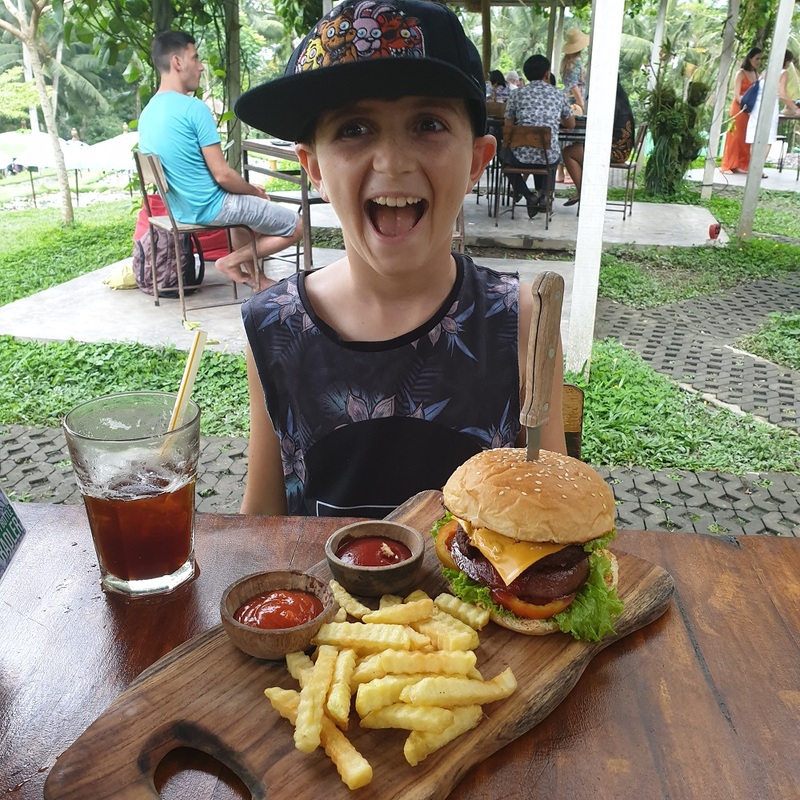 With our 4 harshest critics on board, (that’s the kids) we took our private taxi, and hit the roads around Ubud, bringing you our top 15 things to do in Ubud! Ubud is a very confusing place and most attractions are spread out all around the place. Roads go every which way, and there appears to be no direct routes to attractions. This means the best way to get around in Ubud is to hire a driver for the day. 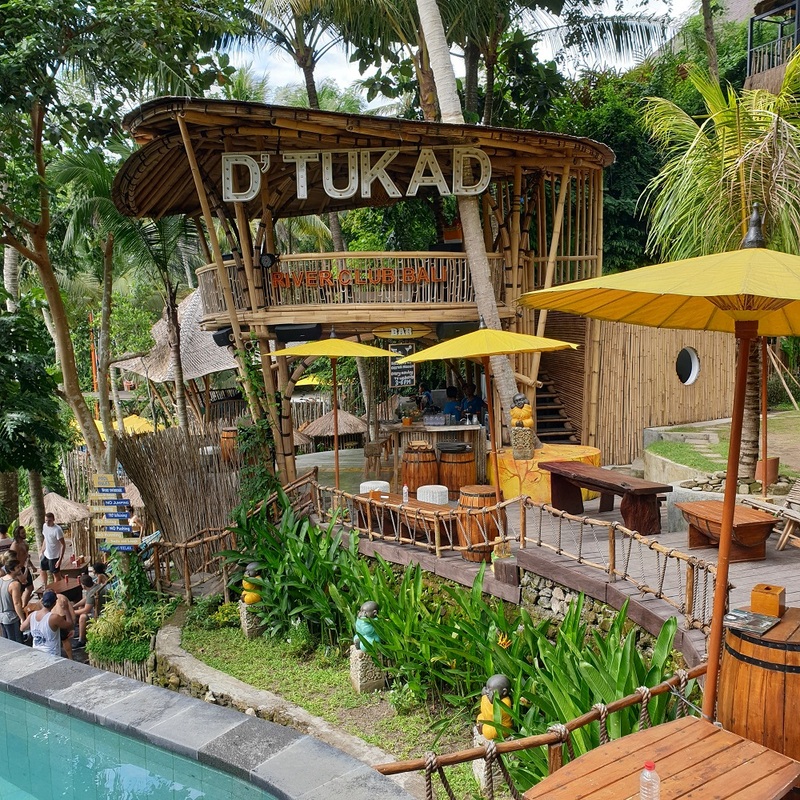 D’tukad is an incredible place which clings to the edge of the river bank overlooking the Blangsinga Waterfall which is one of the most well known in Bali. There are many stairs to climb down to reach the Club itself, but it is such an amazing treehouse like setting! Two large infinity pools are surrounded by bamboo joglos, there are beanbags, and plenty of Instagram worthy photo props. Thumping tunes accompany your cocktails, Bintangs and delicious food here. You pay a 20,000IDR fee per adult at the top carpark which gains you entrance into the waterfall itself. From the River Club it is an easy walk down to the bottom of the falls too, and a swim in the pool at the bottom is a must do. There are simply amazing views of the raging water plummeting into the pool below. 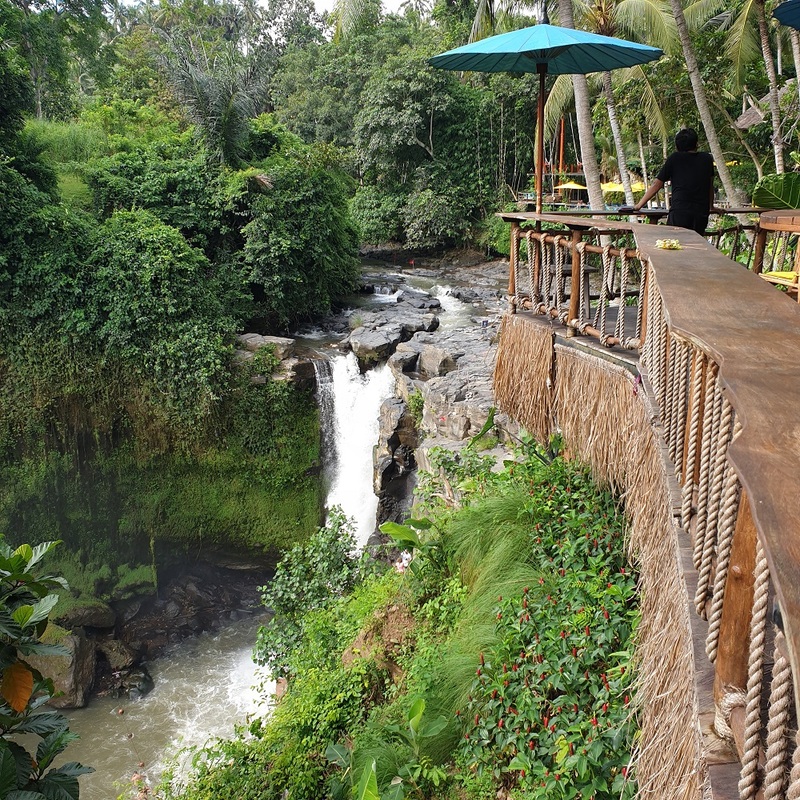 You can also pay an extra 350,000IDR to go on their giant swings which launch you over the waterfall! Just make sure you bring your own long flowy dress. They also do weekly fire dances on a Thursday. There are great vantage points everywhere just take care of your step and obey the signs. They seem very particular about your safety here with security guards everywhere ushering you away from the edge. D’Tukad River Club is open from 10 am – 7 pm and is suitable for families. Visit a Luwak coffee house and try out the famous ‘Catpoochino’ on offer. We recommend visiting the Uma Pakel (Agua centre). 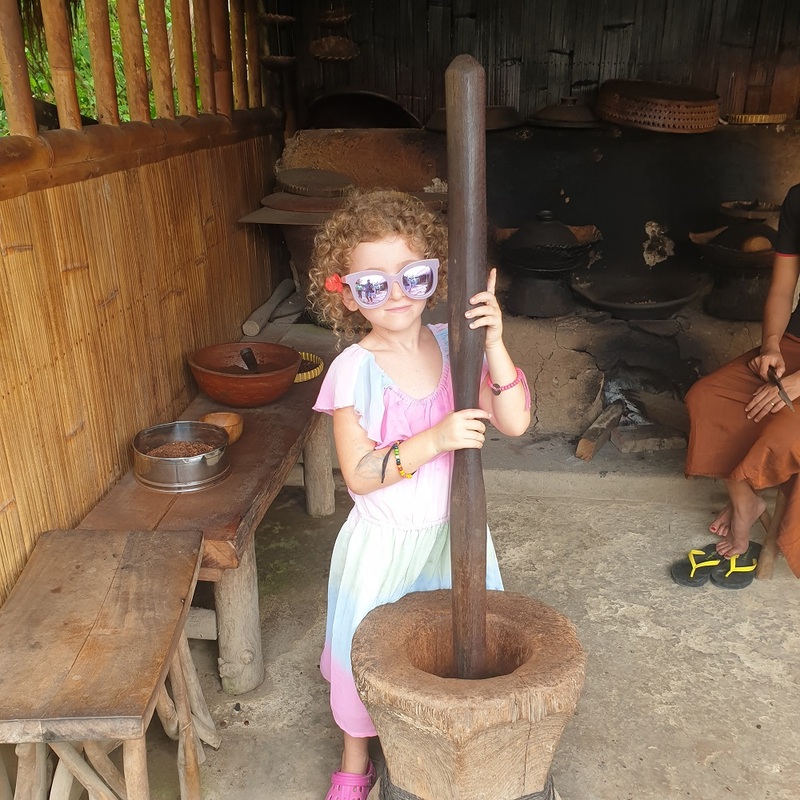 They have great free guides that will take you to meet the Luwaks, and guide you through the process of how the coffee goes from the tree, through the Luwak, and ends up in your cup! We found this really interesting especially if you love coffee! The tour only goes for 20-30min and ends with a tasting paddle of herbal teas and coffee. A cup of freshly brewed Luwak coffee is 65,000IDR per cup. 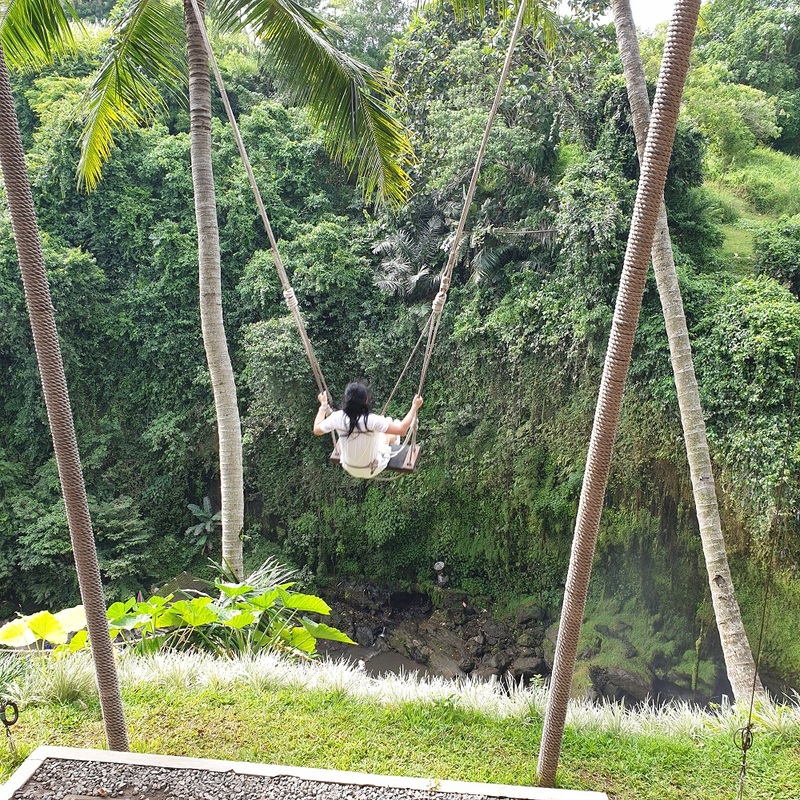 They have big Bali Swings here too, they cost around 350,000IDR a pop. Luwak Coffee has been said to be unethical thanks to the treatment of the caged animals who could be force-fed coffee fruits in order to supply the tourists trade with the lucrative coffee. At anywhere between $6-$10 per cup, it is certainly an industry with a potential for exploitation. On the other hand, the Luwaks are supremely valuable, and appear to be treated as such. I will leave this up to you. But visiting a Luwak Coffee Plantation makes it onto our list of things to do in Ubud. Just up the road from the coffee is the famous Tegalalang Rice Terraces. You can enter the rice fields and wander around them which will cost depending on the checkpoints you want to go through. They ask for a donation at the entrance, and then there are progressive donation boxes along the winding pathways. If you want your photo taken with a rice farmer in a hat, or sitting in a nest, this will cost you extra too. 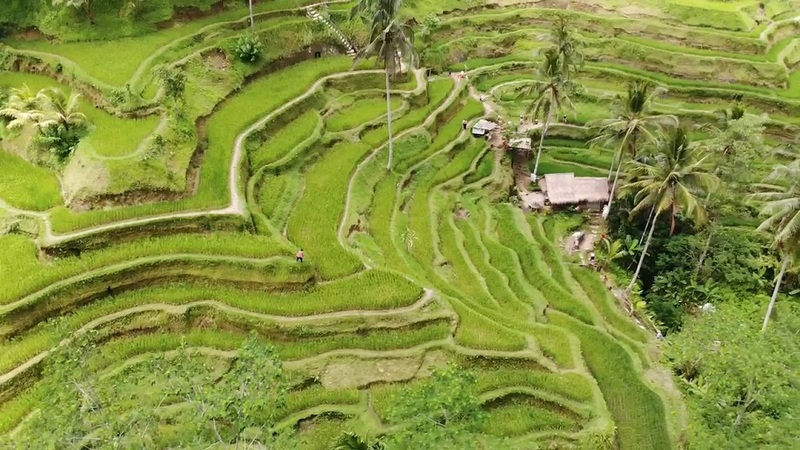 Tegalalang Rice Terrace looks amazing from the air! You can walk all the way around and down, balancing on narrow walkways which divide the terraces. It is a very calming and serene experience, or it would be without all the tourists! It is a bit of a tourist trap, but the valley of lush green terraced fields do make for a very special photo opportunity. Another way to enjoy the Tegalalang Terraces is to simply relax in a cafe overlooking the fields. We loved sitting in a cafe with the best view, with a cold Bintang. Most of the Cafes have an ‘I love Bali’ sign or something quirky to fill your Instagram feed with. Now that is an experience and a half! 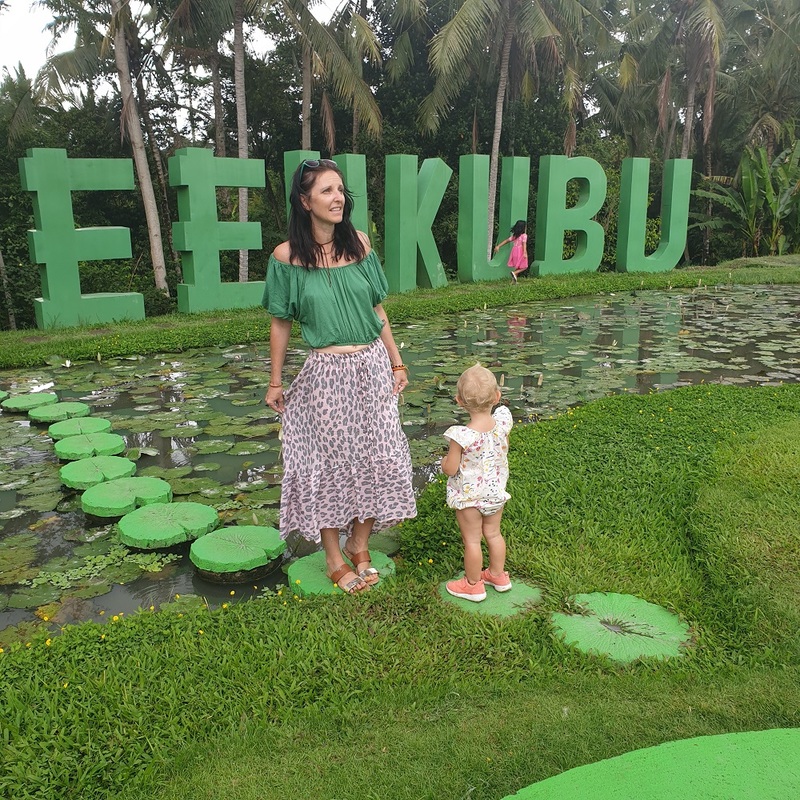 The Beautiful Green Kubu has so many quirky features! 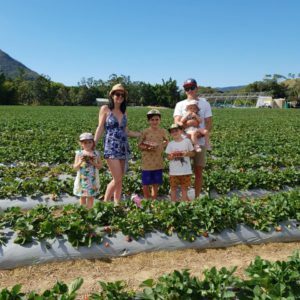 Do yourself a favour and head on over to Green Kubu for lunch and a play! This place rocks and is so green, set amongst rice fields and backing onto rainforest you can spend hours here. There are ponds full of lotus and carp, and even some geese hanging around. The food is insane! They have a Maxxi Burger with fries and a free beer for only 65,000IDR. The Indonesian food is incredibly well priced too. Some great photos can be had here, with their iconic green heart that looks amazing from the air! Green Kubu also has a children’s playground set in the shade which the kids will love! 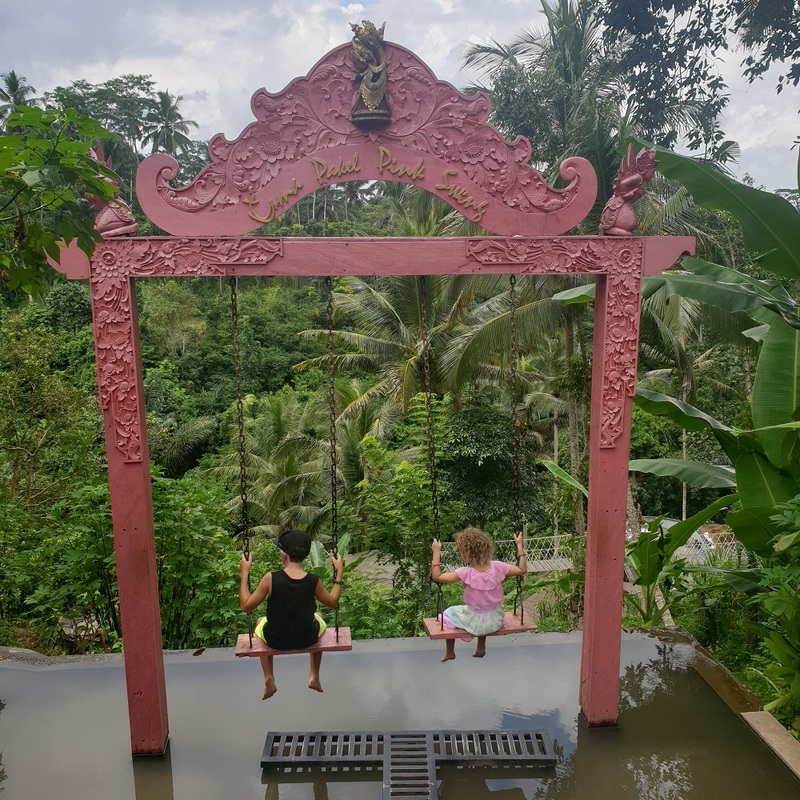 There haven’t been many playgrounds in Ubud, so this one was definitely a favourite. They appear to be doing some renovations here at present, and if these improvements include a pool, Green Kubu will be even better soon! Walk around the Ubud city centre and just explore! Starting at Ubud Palace, this is where taxis drop everyone off. Across the road is the Central Market, which is a rainbow of stalls selling all of that awesome Balinese Kitsch. Bargain hard to get a good price though, don’t ever pay the first amount they say. As a general rule, halve it and take a little more off. You have more bargaining power when you buy more than one. Walking down Monkey Forest Road and along Jl. 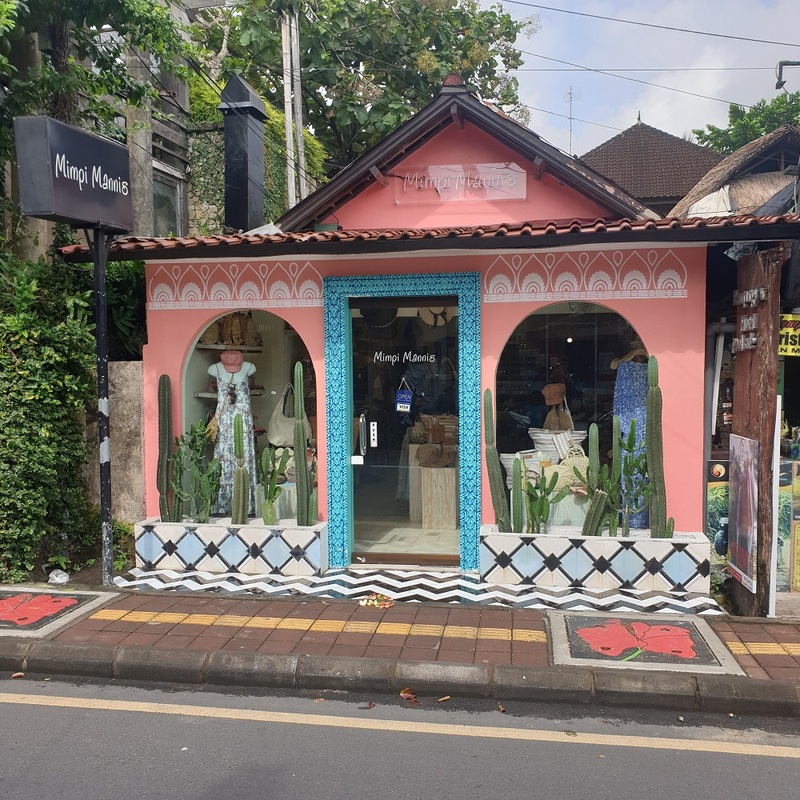 Raya Ubud will reveal an exciting array of great coffee shops, restaurants and clothing shops for you to check out while on holiday. Mimpi Mannis for you and your mini boho princesses! Lazy Cats – A cool vintage-inspired cafe with an elevated position perfect for people watching. Try a huge piece of chocolate cake. Located on Jl. Raya Ubud. Grandpa’s – Excellent coffee and dragonfruit gelato. Located Monkey Forest Road. Bittersweet – This is an experience and a half. 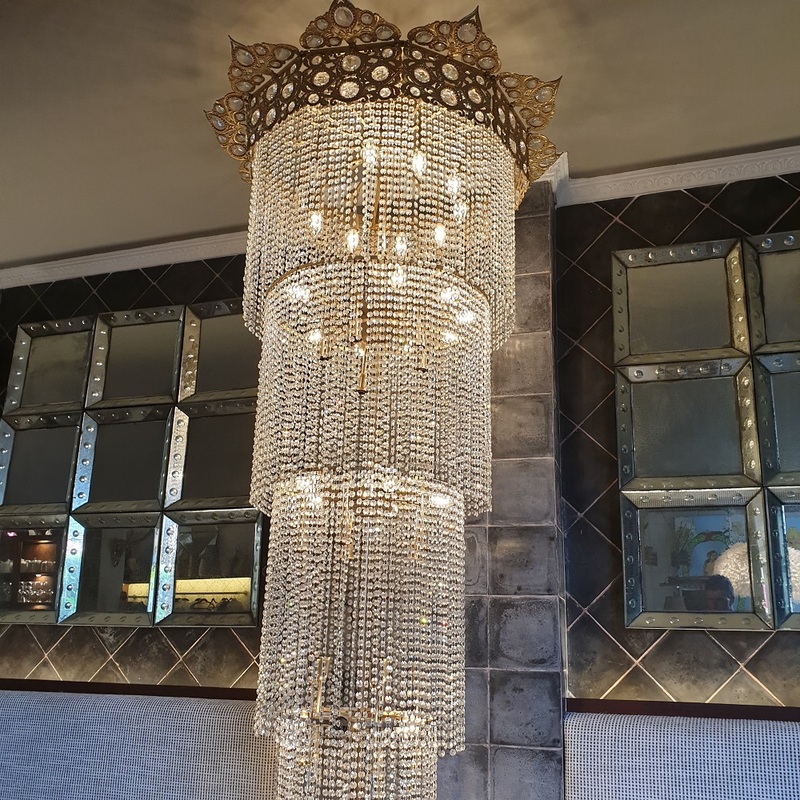 It is a cafe set in an art gallery and homewares store that is absolutely dripping in chandeliers on Monkey Forest Road. They had a delicious coffee and cake deal for only 50,000IDR. Folk – for a swim with your meal, this place is perfect. See below. Cinta Bar and Grill – This is the place to go if you are craving a steak. (195,000IDR). Located on Monkey Forest Road. This attraction is fairly close to Ubud, only about half an hour drive. It is a well managed and exciting zoo with some super cool attractions. Try breakfast with the orangutans, have a night encounter, or give an elephant a mud bath! 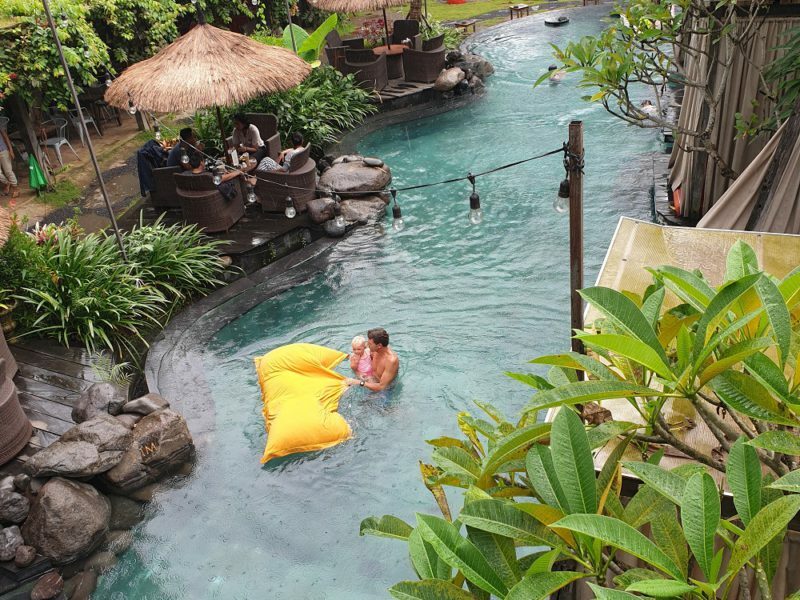 Spend the afternoon in the pool at Folk Ubud. A gorgeous restaurant with a huge pool, it even has a swim up bar! This is a great place to hide from the hustle and bustle of Ubud. The food here is so good and you can hire cabana’s to relax the day away. Order the Ayam Betutu which is an amazing slow cooked chicken. Perfect to share for 130,000IDR. 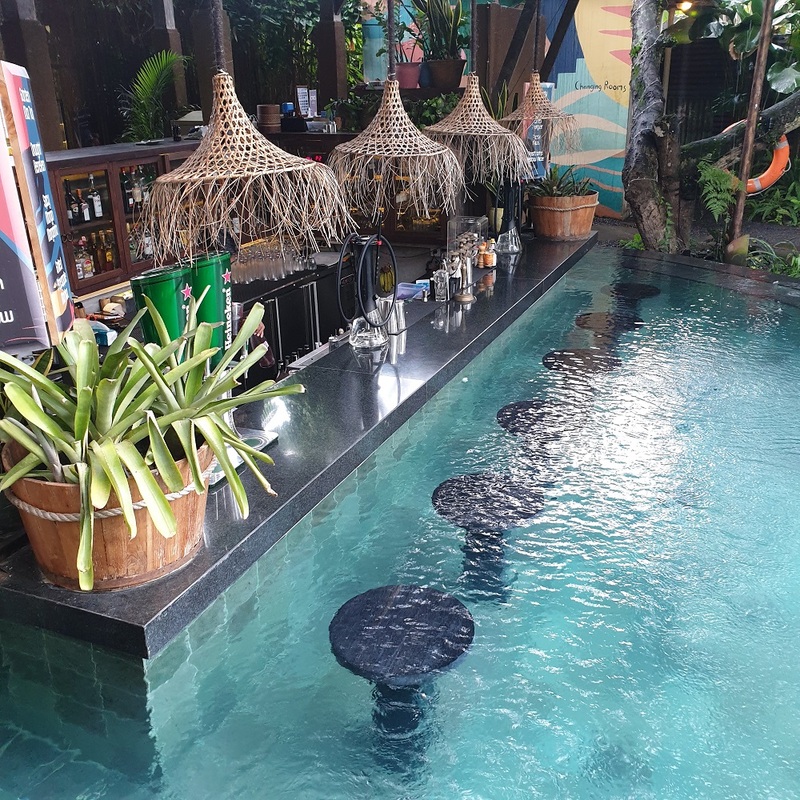 A swim-up bar is always a good idea! The food at Folk is fantastic! Experience the thrill of white water rafting with Get your Guide! You spend 2 hours navigating your way 8km down the stunning Agung River. It was so beautiful and wild, with huge towering jungle-clad river banks and overhanging vines. 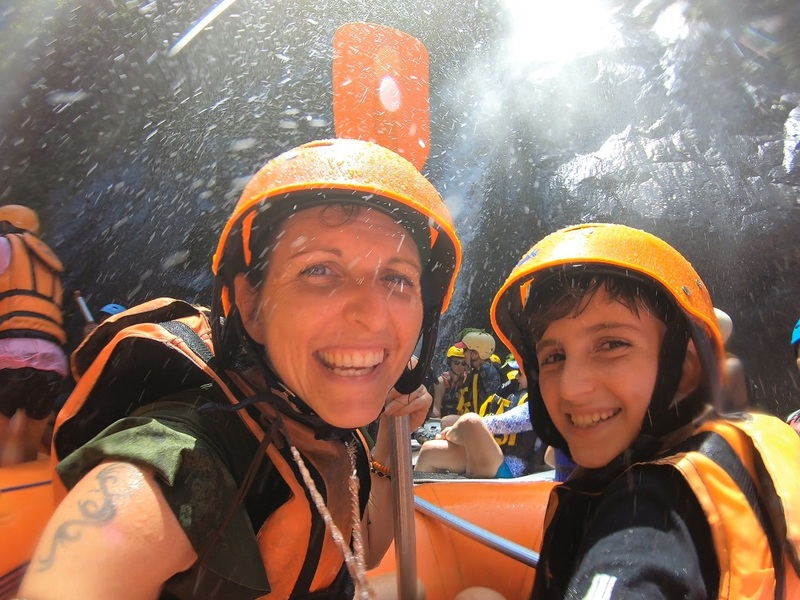 The rapids were a little scary at times, but so thrilling and we always felt safe. Navigating the Agung River with Jasper was the best! This is well worth the price tag of 700,000IDR for adults and 630,000IDR for children. You have to be 9 years and older to participate. We booked our tour with Get Your Guide which really took the hassle out of having to shop around. This got us on with a local provider called ToeKad who were super professional. Definitely recommend. Full review coming soon. They provide pickup from your hotel and have 2 sessions daily. The experience goes for 3 hours, 2 hours of rafting class 2-3 rapids (4 is the hardest) and ends in a delicious local lunch that is included in the price. If you love adventure and the wild Agung river this one is for you! Book here for adventure! I went with my 9-year-old son and he rated it as better than Waterbom! I guess it was like a giant waterslide. 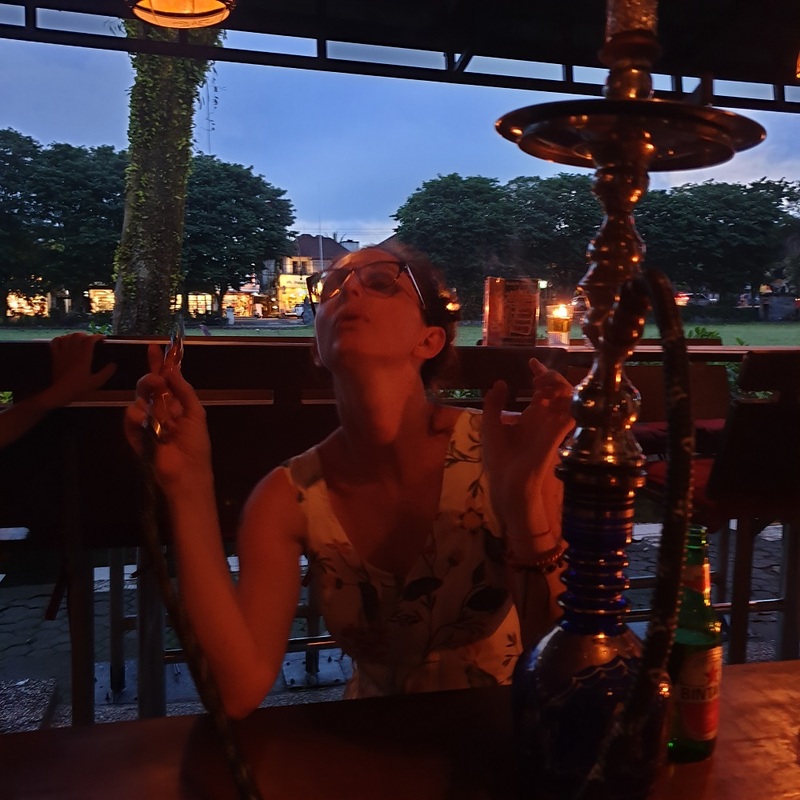 Even though Shisha is not a quintessentially Balinese thing, it is always a fun activitiy. You sit in a darkened medieval like bar, on exotic cushions with dim ambient lighting and partake in some delicious Shisha. We went to Shisha XL Bar while we were waiting for our Barong Dance to start for some quick eats and a fragrant honeydew melon flavoured smoke. 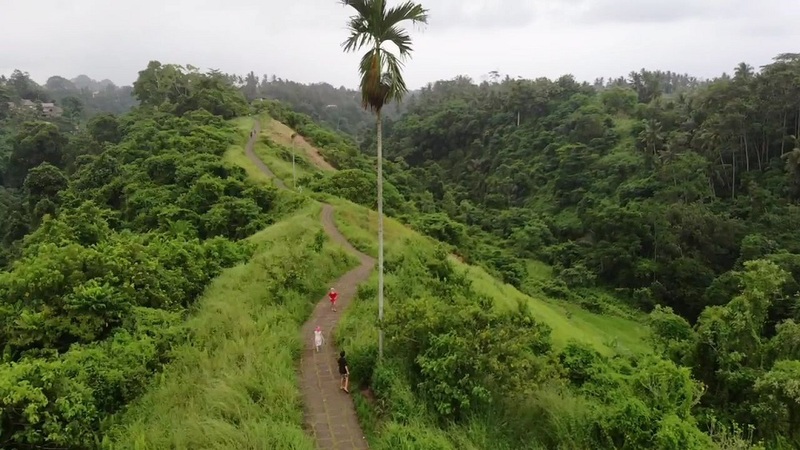 The Campuan Ridge is a beautiful pathway that goes for over 8km from the centre of town. You take the path just to the left of the Iwah Spa in Ubud and follow it up the hill past the cascading river and along the ridge. The crops on either side of the path are of elephant grass, which is used to make thatched roofs. We intended on going all the way to the cafe in the middle, however it started raining cats and dogs so we had to quickly head back to shelter. The path is not suitable for prams or strollers, but good for the little ones to burn off a bit of energy, with an easy level. This place makes it on to every list of things to do in Ubud, but, I don’t like monkeys so we didn’t go. The kids are scared of them as well, and every one we see on the street makes us nervous, so we decided to skip this one. we did walk down Monkey Forest Road and checked out the price of entry for you though – It’s 80,000IDR per adult, and 60,000IDR per child. Explore some of the best pools in Bali. Head on down to the famous Hanging Gardens of Bali with its iconic double infinity pools and superb jungle views. You can get a drink, a meal and a swim for 600,000IDR per adult (subject to 20% tax). Seeing a Barong Dance or one of its many variations is a must see experience while in Ubud the cultural capital. 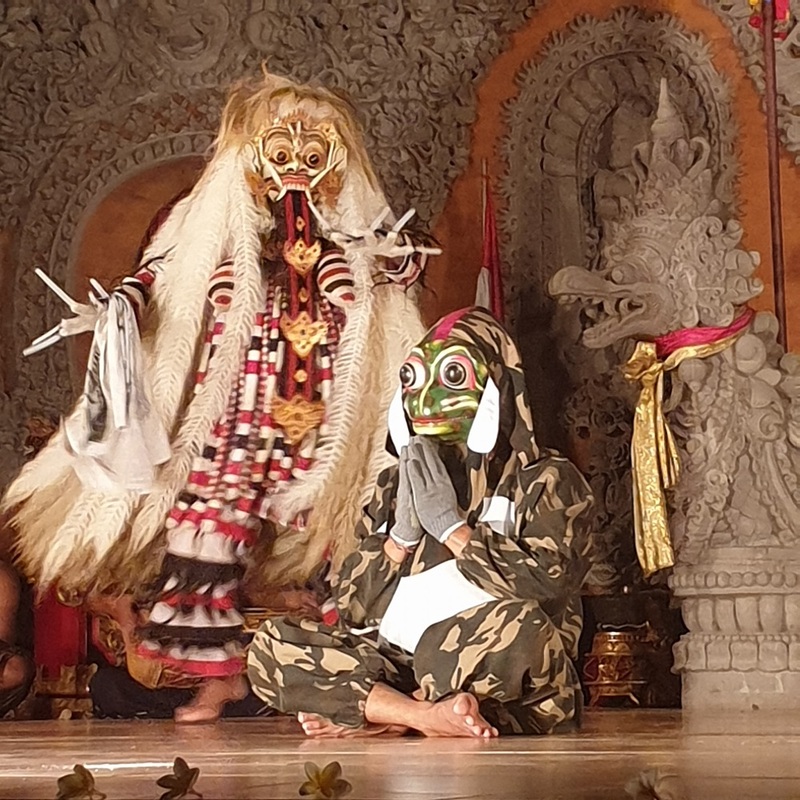 We saw the Barong/Frog Dance at the Puri center for 75,000IDR each. Kids under 8 were free. The show starts at 7.30 and runs for an hour. The story was about the King who goes hunting in the forest but can only catch dragonflies. So the evil Rangda turns him into a frog. Then he has to convince his betrothed Princess that he is indeed her king, so she comes to love the frog. Then Rangda turns him back into the King, so they have to convince the Princess all over again that he is the same guy. It was entertaining and the traditional Balinese Dance is very cool with their gorgeous decorative costumes and subtle movements. It is so worth seeing. The music is a mish-mash of sounds that seem to work somehow and a tragic story that turns out happy!! Get yourself to a Barong Dance when in Ubud, Bali. They also perform at the Ubud Palace where an outdoor show will cost 100,000IDR and runs for 1.5hours. There are other dances at major hotels too. Climb Mt Batur, It’s a super early start 1.30am which may not suit many but if you are up for adventure then this is for you. This early start gets you up to the top of the majestic Mount Batur for an unforgettable sunrise. Mount Agung has been closed to climbers since the eruption in 2017 and looks unlikely to reopen anytime soon so if you want a volcano, this is your best bet! 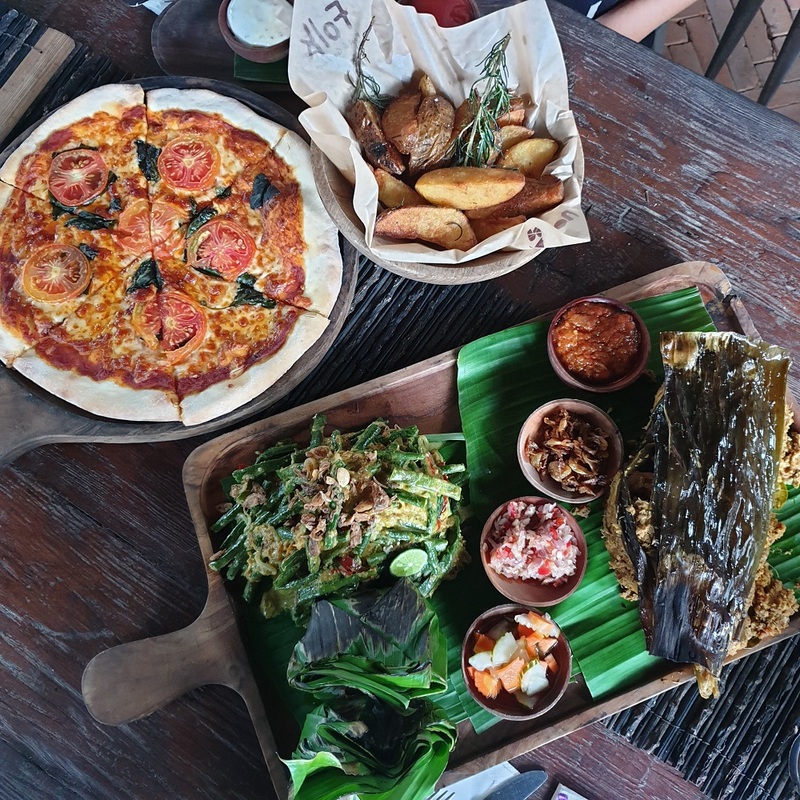 Of all the things to do in Ubud, this was on our wish list, but we just couldn’t make it happen with the kids this time. You can book the tour right here with Get your Guide. In Ubud, you feel like you should be doing yoga, there is just something about the mountain air that makes a few sun salutes just perfect. Many hotels and guesthouses offer daily yoga. The best place to go in town is The Yoga Barn. A drop in class here starts at 130,000IDR. Don’t be misled, there is not just one Big Swing. In fact, they are everywhere. Prices start at anywhere between 250,000IDR to 350,000IDR. It’s just a giant swing, but they do look great in photos!! I’ll level with you here, I’ve never really heard of Ubud before but I am interested in travelling around Bali this summer (we have it planned). It looks a truly wonderful place and I’m wondering how your kids found it? Did they enjoy the area and was there enough for them to do? I have two boys that are going with us, and we would love to know how easy it is to keep them occupied? Our kids loved it!! And there is so much to do in Bali, kids clubs, water parks, adventures like trekking, white water rafting, surfing, swimming and so much more! 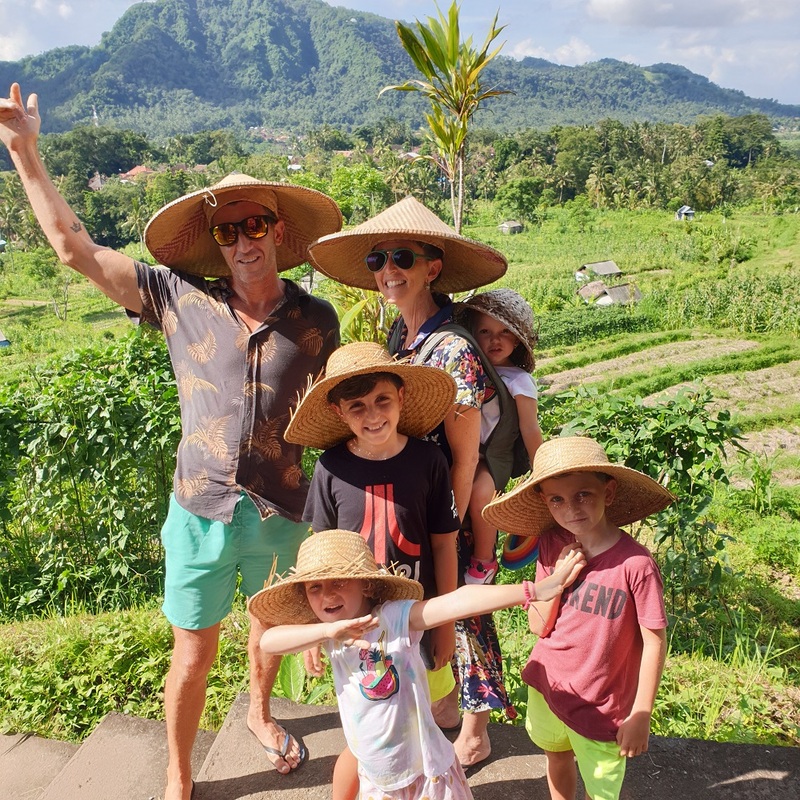 Here are some posts to check out for you Finns Rec Club – 19 best places to visit in Bali – White water rafting – Ultimate Family Guide to Canggu, Bali! Hope this helps, we are creating more content all the time for family travel, so check back soon! I’d like to visit Bali this summer but I don’t know how. My sister told me that if I want to visit places like this, I have to book a tour package with a travel agency so they are the one that will arrange everything for me, from air transportation to hotel booking, etc. I am not sure if she’s telling the truth, but I am still curious if I can visit the place by just going there without the help of a travel agency. Do you think it is possible for me to visit the place without the help of a travel agent? You don’t need a tour company! Just book flights to Bali and check out our post Best Places to stay Bali! 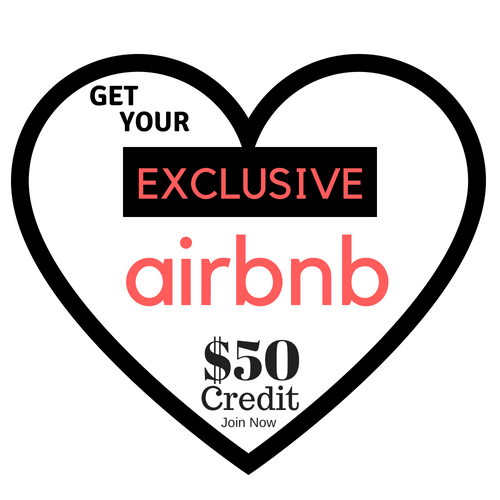 Or you can just visit booking.com or AirBnB and have a browse in your required area. Start off in Canggu area you will love it there. Good luck! Wow, what an extensive guide indeed! 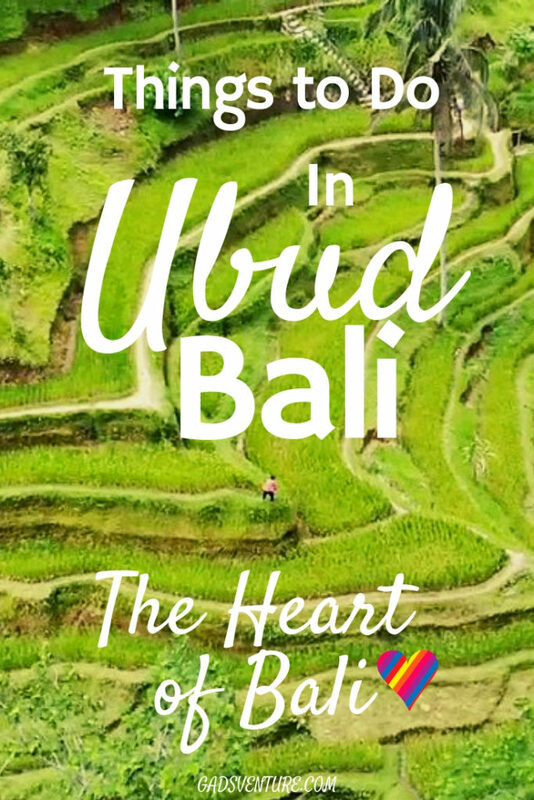 Your post can be used as a travel guide to Ubud, Bali. You have provided great information and the images you shared are amazing. While reading your post I got excited and felt like I am in Bali. Being a traveller, Bali is on my list for a while. This post means a lot to me because my close friend is in Indonesia and he is inviting me to visit and spend time with him So Bali is on the cards soon. While doing some research about best places to visit in Bali I came across your post which is very helpful. I am bookmarking your post for future reference and you have given a great walk-through and a lot of value in this post. Thanks, Paul! It is a magical place! The people live by really great morals, be kind to people, trees and animals. Everything in harmony! Balinese people are some of the nicest people you will ever meet! You have to get over there!